Stunning property features 3 bedrooms, 3 full baths & a 3 car garage brilliantly crafted in 2,348 square feet. 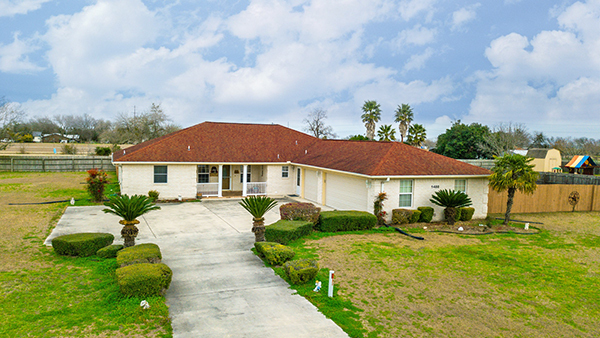 Located in a cul-de-sac & situated on 1 full acre of land. Upon entry, you’ll notice the arched pillars, vaulted 9 ft ceiling w/ recessed lighting, 19′ in. tile, & white brick electric burning fireplace. Gourmet kitchen includes cream corian countertops & an abundance of cabinet space. Master & additional bedrooms are located on opposite side of floor plan w/ sliding doors for additional privacy. For more information, contact one of our REALTORS today!